March and the beginning of April have been very difficult weatherwise for the sheep and the humans. We seem to be over it hopefully -- yesterday it was 80 degrees. Farm chores continue everyday. The lambs are growing and soon the grass will be too. The sheep and lambs are still in the winter barns. Food needs to be brought to them at least twice a day. In a month or so when the grass and vegetation has grown they will move out onto pastures near and far. But first the portable electric fencing will need to be set up. I've been trying to get my creative mojo going again although it doesn't seem like I have much time to spare. The past couple of years, I have been taking a once a week in the evening pottery class with Lucy Fagella. I have really enjoyed it and it is a night out away from home and family which I haven't done much of in 18 years. Lucy is an incredible potter and I learn something every evening. She studied at Alfred and has been making her living as a potter since 2004. You can check out her work here. She has a nice Instagram feed too. 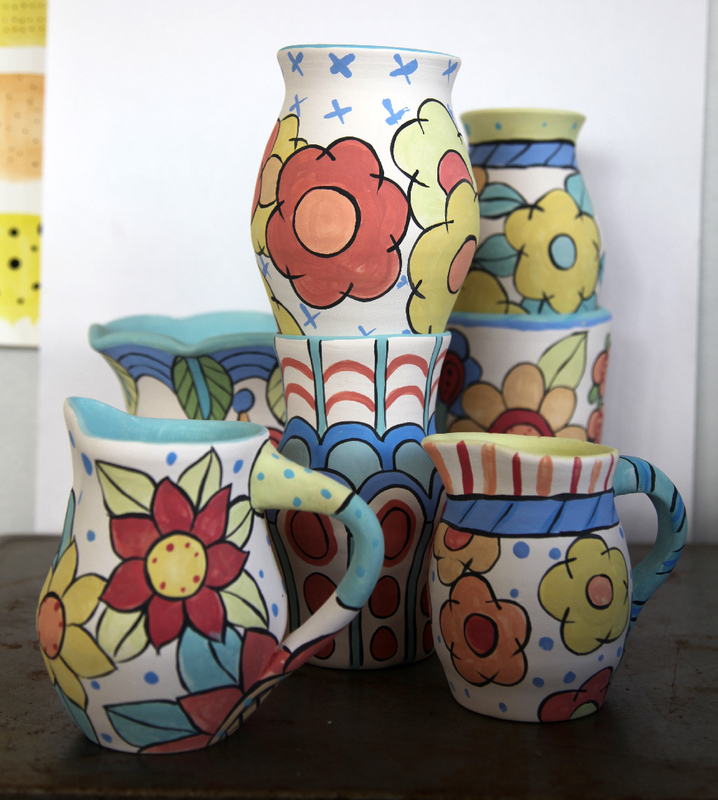 Last term I worked on vase shapes. This term I have been working on bowls. I've had some bisqued porcelain pots waiting to be decorated so that Lucy can fire them for me. Bisque is a first firing and it is the one which makes the pots somewhat hard and unbreakable. After bisquing, they can be transported home for me to decorate with my flower designs. I got it together last week to decorate them with underglazes my underglazes. Here they are. 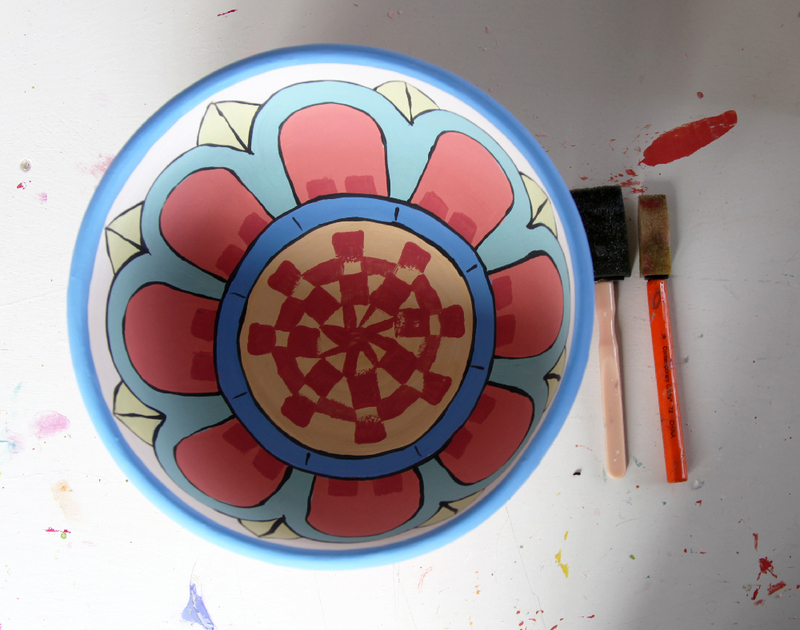 I tried something a little different with this large bowl. Instead of all painting the entire design with a brush, I applied some of the underglazes with some foam brushes. I can't wait to see how it fires but it will be a while for that. 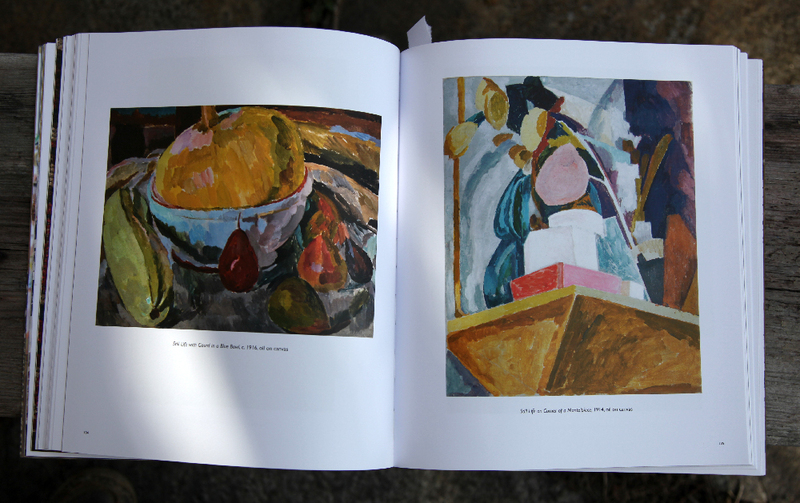 Often when I am in a creative rut, I turn to looking at my art books to see if something will inspire me. 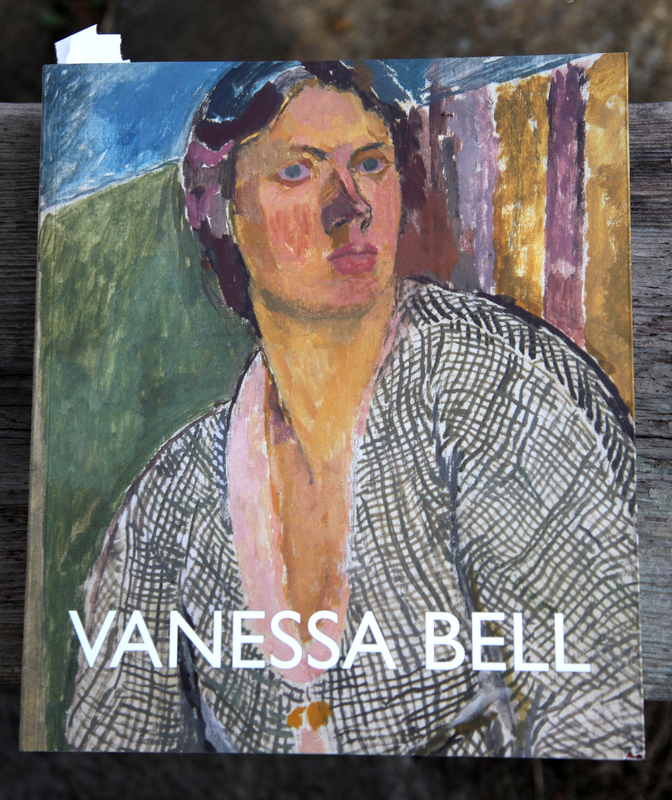 I'm a big fan of the Bloomsbury artists and this new title about Vanessa Bell - called Vanessa Bell - was just published to coordinate with a show at the Duhlwich Gallery in London. Wish I could get to it but not a chance. The show is on until June 4, 2017. 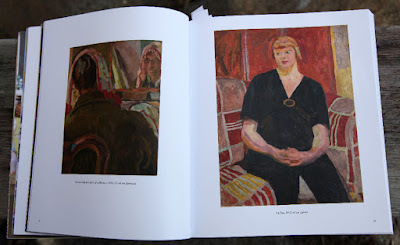 This book is nice because not only are there photos of her paintings but there are also a lot of personal photos taken by Vanessa of her family and some from when she was a young woman. 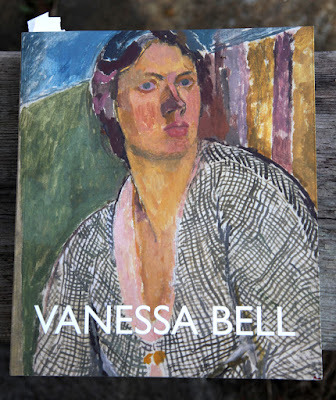 There are also several long essays about the different periods in Vanessa's life and how it affected her art. Here is a video by the Duhlwich Gallery about one of Vanessa's abstract pieces. I had a vase to paint and was inspired to use a bit of Vanessa's motifs. 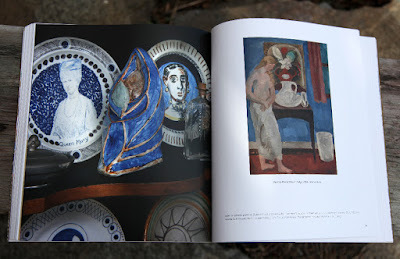 She often painted ceramics that her son Quentin made as you can see in the photo below. 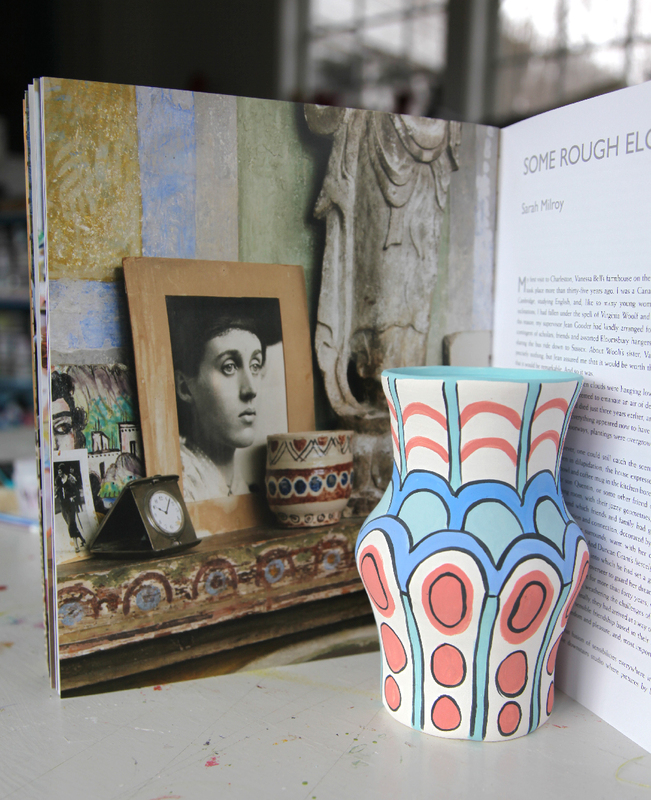 Here is my unfired vase with the photo which inspired me. It will look much different when fired - the colors will come out much brighter and it will have a slightly glossy finish. What do you do to get out of a creative slump? Would love to hear. I also love browsing art books if I'm in a creative slump. I also love watching some of my favorite foreign movies to get inspired. Many of my friends work in different media than me, so it's nice to check in with them and hear what they are up to as well. Can't wait to see how your foam brush glaze fires! I'm sorry. I hope you will be kind and patient with yourself. I don't if either of these links will interest you. P.S. Thank you for the kind comment on my blog the other day. My "vice" is yarn buying! Too much so, especially when I come upon "new" colours! And, don't get me started with my Thrift Shop scavenging! I'm almost addicted to bringing home "ART" [I picked up over a 100 paintings last year!!] 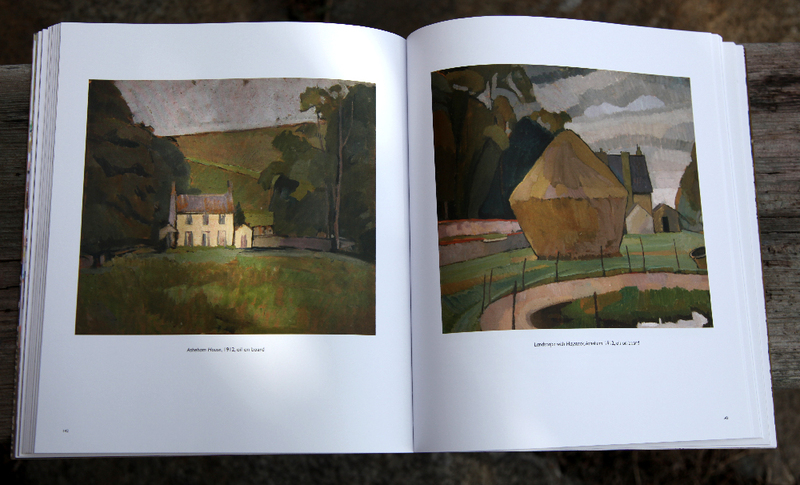 and, rather heavy Art BOOKS! At this point, I'm about one major lottery-win away from incorporating myself as a "gallery/museum/library"!! So, with all of that [bagged up] "inspiration" literally PILED around me, I can't say that I ever really get into a creative "slump" per se, as ideas are constantly running through my head. My current problem at the moment is just finding the TIME these days! - Actually, I haven't touch my needles or hooks in well over a month! So not "normal" for me. At least THIS one has CHOCOLATE! Anyhoo, LOVING the Pottery! I'm glad to see that you're managing to "escape" THE-HERD for a few hours... BTW, I didn't miss the irony of you "Zenning"-out by way of slapping around "MUD" with some swats of COLOUR! - The future kiln bit is a great touch! Meanwhile, HAPPY EASTER! Hope the weather holds out for the weekend! I am interested to see where my life is going in the next few month. I feel a little squirrel like. Stocking up and burying items. My house is up for sale and the husbeast and I are transitioning from east coast living to a new life in Texas. right now for me, knitting super simple patterns, think wraps and scarves are my creative outlet. 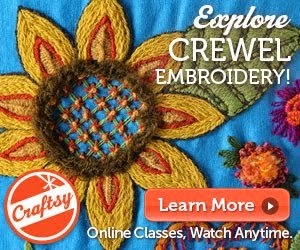 I am using a multi-colored yarn and throwing in a solid every now and then. I also listen to audio books on my computer. 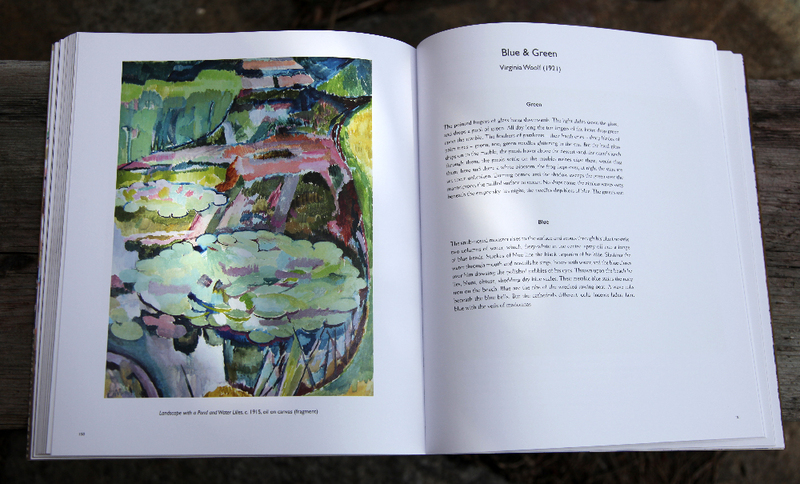 I dream of the colors in the story. If only I were creative enough to HAVE a creative slump! I love the Quentin-inspired vase. I love your pottery & that you go to Charleston House & Bloomsbury Group Artisans for inspirations. 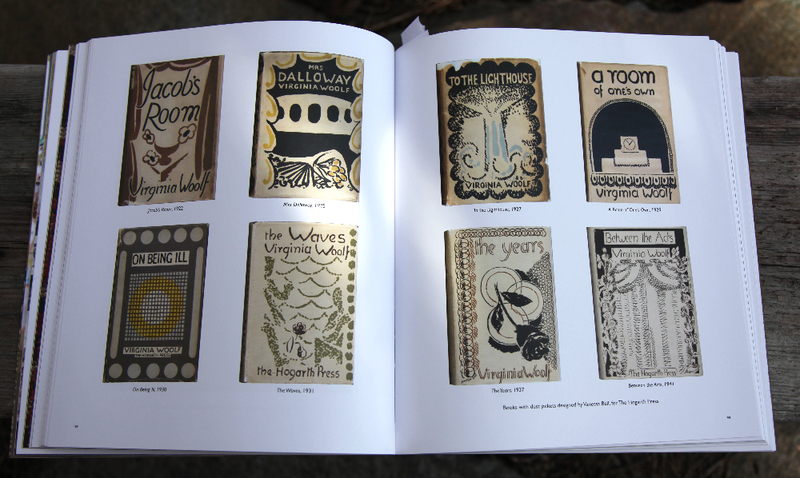 I've always been drawn to the work that all the creatives did with Charleston House in England. Dream trip to go there one day & visit !! The Gardens are wonderful as well. 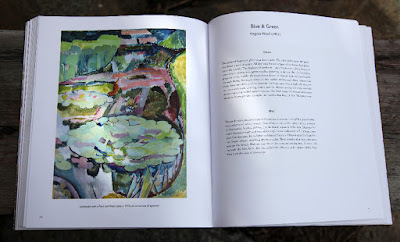 My motivations for creativity are pinterest searching of textiles of many countries, knitting books, reading write-ups of artists I like, ... such as Beatrix Potter, Kaffe Fassett, Arne & Carlos, Frida Kahlo, John Marin: his paintings of coastal Maine, ... & also I especially like reading through your book Kristin, Crafting a Colorful Home. It gives me delight to see happy colors and mixed patterning in so many different ways throughout the home. I've yet to paint a lampshade, but I'd like to, or add fabric to edgings. Today I'm re-painting a bookshelf in several shades of teals & then using indigo with a stenciling pattern I'm making up. Thinking of ferns & woodsy-like patterns all along the thinner edges of the shelves. I like to read/follow blogs a LOT !!! 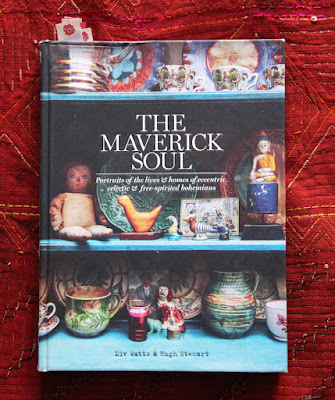 Besides yours Kristin, (and I love that you include so many links to other artisans with many of your posts) a few I read are: Ann Wood Handmade, Small Things, Soulemama, posiegetscozy & adore Junkaholique, which is set in the Isle of Wight, ... stellar images !! I don't really ever feel a complete slump, since there are so many arts I'm interested in; knitting, embroidery, felting, painting furniture, creating toys & reading books always. My issue is being able to focus & finish what I've started, that's more of my challenge than a slump. I do take a break from it all with reading children's books. I loVe children's books !! 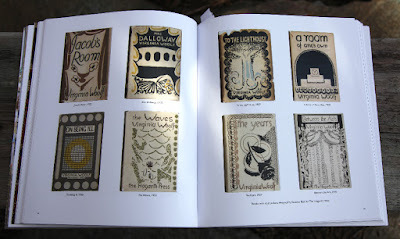 I've just found the series of: The Incorrigible Children of Ashton Place, by MaryRose Wood. It looks loVely !! Also, the classics like Charlotte's Web, Miss Hickory, The Borrowers & all Beatrix Potter are divine. I loVe picture books too & have a big collection. I don't have anything to add, but loving the vanessa bell shots and enjoying the comments. I'm slumping myself. well, I know this sounds a bit compulsive, but when I cannot focus on an unfinished project or can't visualize a new one, I tidy and organize. I choose one medium, like yarn, and organize and touch it all. Invariably, I am inspired by things I had forgotten I had, or by seeing two different yarns in proximity. I don't want to overwhelm myself, because I have a lot of stashes (yarn, vintage paper, new paper, vintage fabric, contemporary fabric, embroidery threads, paints, pens, etc.) so I choose just one thing. I never try to tidy the entire studio at once!